This is the fifth in a 7-part series about hormone replacement therapy by guest blogger Hedda Haning, M.D. of Charleston, WV. 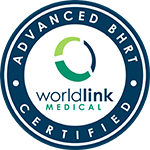 Continue reading Hedda Haning, MD’s series on HRT – this one focuses on BONE HEALTH. Third in the HRT series by Hedda Haning, MD.